Microorganisms are involved in numerous useful transformations in foods, but are also implicated in food spoilage or foodborne illnesses, which affect food safety and quality. Microorganisms are evolving and constantly adapting to environmental conditions. This book represents a resource for food industry and academia, both focused on food safety and quality in recent years. 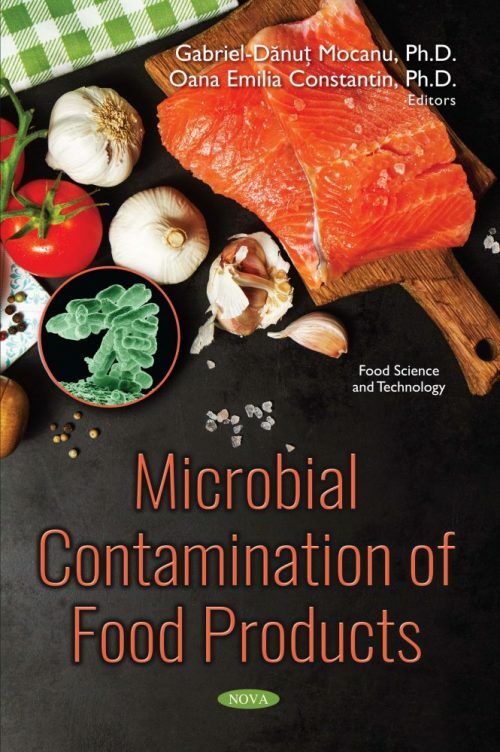 Microbial Contamination of Food Products includes seven chapters. Each chapter presents important information concerning food microbiologists, food technologists, food processors, regulatory officials and public health workers. Furthermore, the book can be a source of valuable information on food microbiology for the students in the field of food science and technology, food control and engineering, and management in public food.